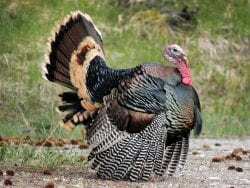 Thursday may be Thanksgiving, but from Speculator to Indian Lake, Christmas bells will be ringing a bit early and providing activities and family fun that is uniquely Adirondack. 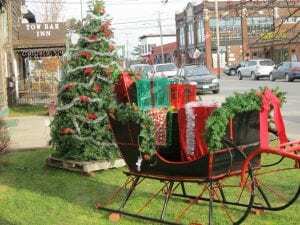 With Reindeer Runs and Victorian carolers, as well as local artisans and delicious food, the towns of Speculator, Indian Lake, Inlet, and Old Forge are making sure everyone can celebrate the season in style. Speculator is keeping the shopping local with its annual Adirondack Holiday Stroll on November 23. Sales and raffles are available with a tree lighting and carolers to put everyone in the holiday mood. In Inlet and Old Forge, the Adirondack Christmas on Main Street weekend is a true small town celebration with all the quaint shops and exclusive merchandise that can’t be found in a big box store. These events give you enough time to let your turkey dinner digest while festive enough to bring in the Christmas spirit. In Old Forge, some events like the Adirondack Christmas train from Utica, have an admission while other activities are free. There are horse drawn wagon rides, a puppet show, and special animal encounters with the Utica Zoo Mobile. Children can have their picture taken with Santa and Mrs. Claus at the Forge Hotel. Throughout the weekend shops are open, offering all sorts of Adirondack made items that will fit nicely under your Christmas tree. All Inlet stores will be open all weekend. There will be plenty of free activities including the annual candy cane hunt in Arrowhead Park. There is also face painting as well as dog parade, tree lighting and caroling around the Town Hall tree. Don’t forget to include your return address on your letter to Santa when its dropped at the Santa Drop Box in Inlet. It’s the only way that Santa will be able to write back. This is the 21st Indian Lake Country Christmas tour is aptly named “Made in the Adirondacks.” Crafters, artisans and vendors are set up throughout Indian Lake and in the local high school. There are also children’s workshops, wreath demonstrations, winter gear exchange, and a free movie at the Indian Lake theatre. A complete map of the two-day event will be located at the Indian Lake Chamber of Commerce as well as online. I hope you are able to find the perfect gift and get into the Adirondack holiday spirit.